Dishmate Pear is fragranced with pear oil to give a clean fruity aroma which you will like if you enjoy pear drop sweets. 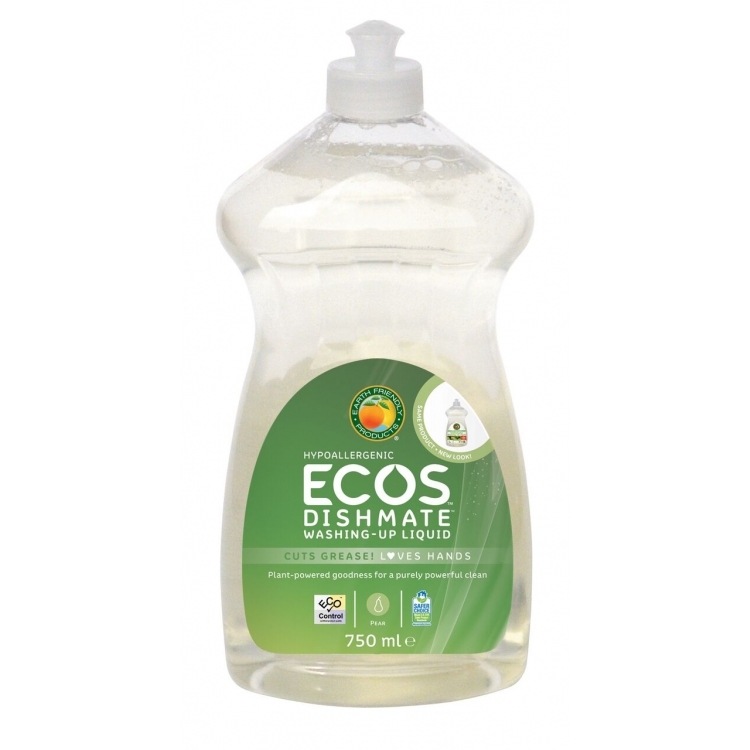 Dishmate is a powerful plant-based washing-up liquid that with its neutral pH is mild on sensitive skin. GREAT VALUE - Use sparingly. Its ultra concentrated formula lasts for a very long time. You only need one teaspoon for a typical bowl of washing-up which means that you will get at least 150 bowls of washing-up from the 750ml bottle. Ingredients: Water, Plant-Based Surfactant Blend( 5-15% anionic, 5-15% amphoteric, <5% non-ionic),Phenoxyethanol (preservative), Methylisothiazolinone (preservative), Natural Pear Fragrance.